While Lake Tahoe is blessed with hundreds of sunny days every year, we do get some rainy days… here are some of the best rainy day activities to explore at Lake Tahoe including ice skating, cruising the Lake, and soaking in hot springs! Hot Tip: During a rainy day, many people many not choose to hike down the Vikingsholm trail, so you could have the place to yourself. Ice skating is not just for the winter. The South Lake Tahoe Ice Arena is an Olympic size indoor rink that offers open skating, lessons, hockey games, curling and school programs. Some weekend nights also have black light skating. You can rent skates and equipment at the arena and they also have bucket assists available for beginner skaters and children. Please check the website for current skate times. 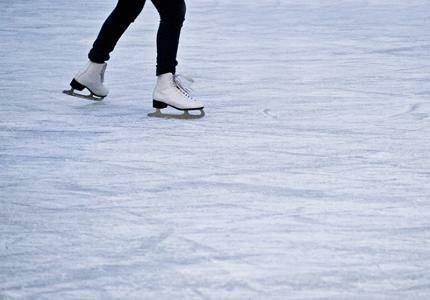 Hot Tip: The rink fills up during school trips, so call ahead and plan around them. If you have small children, the KidZone Museum in Truckee has learning exhibits that encourage children's developmental skills. The KidZone has a BabyZone for those under 18 month, an Art Studio with crayons, markers and clay, a Jungle Gym with a custom train table and an Exploration Station where the kids can create their own science projects. Special programs and workshops are also available including learning about the natural world, puppetry, Show and Tell and building with wood. Admission is free for infants and $8 for ages 1-69. The KidZone also offers a free bus from Kings Beach and Truckee. Hot Tip: Kids of all ages will like the Take Flight exhibit which features kid-size planes that communicate to control towers. Tahoe in the rain is really beautiful and one of the best ways to see the lake is from one of the lake's paddlewheel boats. The M.S. Dixie in Zephyr Cove and the Tahoe Queen at the Ski Run Marina both offer covered observation areas and daytime and sunset tours of the lake into Emerald Bay. Hot Tip: The sunset tours on both the Dixie and Tahoe Queen include dinner. Who cares if it's raining if you can spend the whole day in hot water? Drive down the Kingsbury Grade from South Lake Tahoe to Genoa and take a dip in the hot springs at David Walley's hot springs. This historical hot springs area has half a dozen pools of various degrees including a warm swimming pool, all full of natural mineral water. The resort also has a dry sauna and a fitness room. Hot Tip: Stay for dinner at the 1862 Restaurant & Saloon—the food is really good. The beautiful Tahoe Maritime Museum covers the boating and maritime history of Lake Tahoe and also features special exhibits and collections. The collection highlights include various woody watercraft, an 1890s stream launch salvaged from the bottom of the lake, Native American kayaks and various motors and props used throughout Tahoe's history. For adults, there is a full library on the history of Tahoe's boating industry and for kids there are interactive boating games. Their hours change with the seasons, so check the website for open times. Hot Tip: The view just outside the Tahoe Maritime Museum is of the Homewood ski resort. This indoor play area for young children includes gymnastics, art and music classes and a giant pit of colorful balls. The Tahoe Tot Spot also has a Mini Gym with giant balls, a padded mountain, monkey rings, balance beams and material for building forts. The Play Room includes costumes, toys, bean bags and a relaxing place to hang out for parents. The Tahoe Tot Spot also offers a Date Night for parents: drop the kids off for a couple of hours where dinner, games and a movie will be shown. Hot Tip: Kids will get a kick out of the trampolines and the toddler roller coaster. Offering a longtime favorite rainy day activity, Tahoe Bowl features 16 lanes for open and league bowling as well as arcade games, pool tables, pizza and beer specials and a pro shop. Birthday party packages are also available. Hot Tip: Tahoe Bowl also has a sports bar for adults. Run by the North Lake Tahoe Historical Society, the Gatekeeper's Museum used to be the home of the Watermaster who controlled the flow of water out of Lake Tahoe into the Truckee River. The museum now houses Tahoe history, artifacts of the local Washoe Indian tribe, historical logging and mining implements, resort memorabilia, maps and newspapers. The museum also includes the Marian Steinbach Indian Basket Museum. The Gatekeeper's Museum is open Wednesday-Monday 10:00 am to 5:00 pm in the summer. Hot Tip: The Gatekeeper sometimes has special exhibits. Call ahead or check the website for more information. After all the museums and shopping, you might just want to take it easy and check out a movie. The Heavenly Village Cinema at the Heavenly ski resort in South Lake Tahoe plays current movies on 6 screens. Hot Tip: Heavenly Cinema will validate your parking for 2 hours. Make sure you punch in your cell phone number when presenting your ticket for the show.